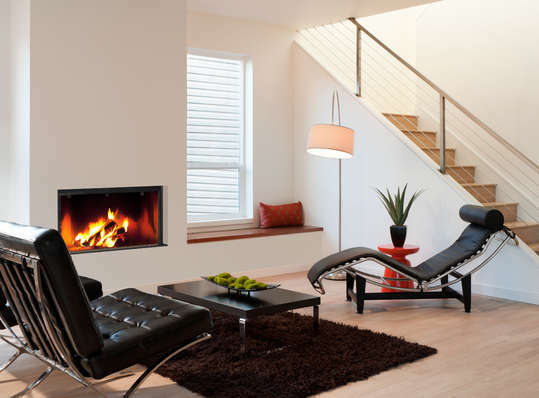 The largest in the Stella 3 range of inset stoves, the H1000 is an efficient dedicated woodburner. Designed to be installed into a wall or custom made chamber, the H1000 provides a 'window of fire' in the room. This is accenuated by the frameless glass door. As the door is closed only the clean edge of the glass is seen sliding smoothly down. Release the door and it will stay in position allowing the use of the stove as an open fire, without a lower metal frame to block the view.